Long lasting, high quality industrial workbench comes standard with rugged 2" square, 14 gauge tubular steel height adjustable legs. Legs adjust from 28 to 34"H at 2" increments. 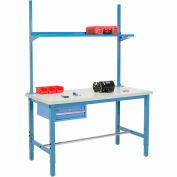 These workbenches are tested to 5000 lb. capacity. 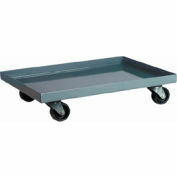 Weight should be evenly distributed. 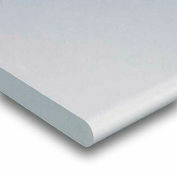 1-5/8" thick high pressure plastic laminate top with safety radius edge. 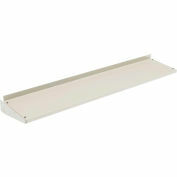 Includes adjustable leveling floor glides and leveling foot plates that allow floor anchoring. 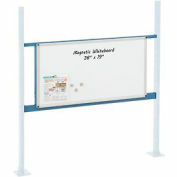 Dimensions are 48"W x 30"D. Powder coat finish. 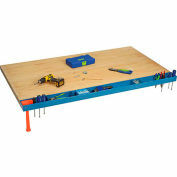 Quick and easy assembly. 1 year limited warranty. 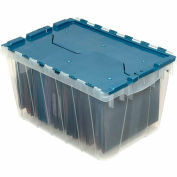 1-5/8" thick top with a safety edge features a plastic laminate finish that resists moistures, stains and scratches. 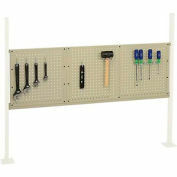 Accessorize your workbench with the Upright Kit that holds the Bin Rails, Light Kit and Cantilever Shelf. Accessories and Uprights sold separately. 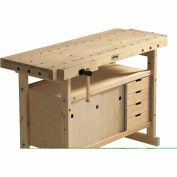 Your review: Comparable with other vendors laminate workbenches. 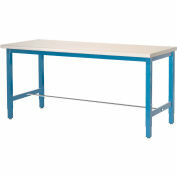 The laminate could stand to be a little more durable on this type of table.